Cross himself was a permanent feature at Enjoy during his exhibition. 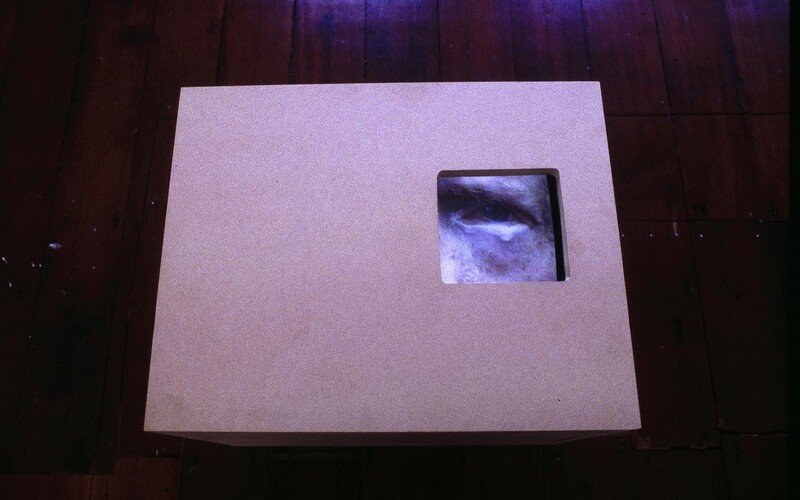 Cross lay on the ground, his head inside a customwood box, with a hole cut in the top so that one of his eyes could be seen. At the other end of the space were three other boxes of the same size, containing monitors, screening images of his face filmed under different conditions—one in daylight, one in neon light and one at night. Cross has a condition which results in his eyes weeping continuously. The degree to which this occurs depends on lighting conditions. The monitors faced the ceiling and the videos were placed under the floorboards. Cross was found lying at the narrow end of the gallery, legs towards the windows and his left eye peering out of the wooden box. This was an opportunity to view the action taking place, if the captured body didn't prove too unnerving. It was also the only face that looked back. 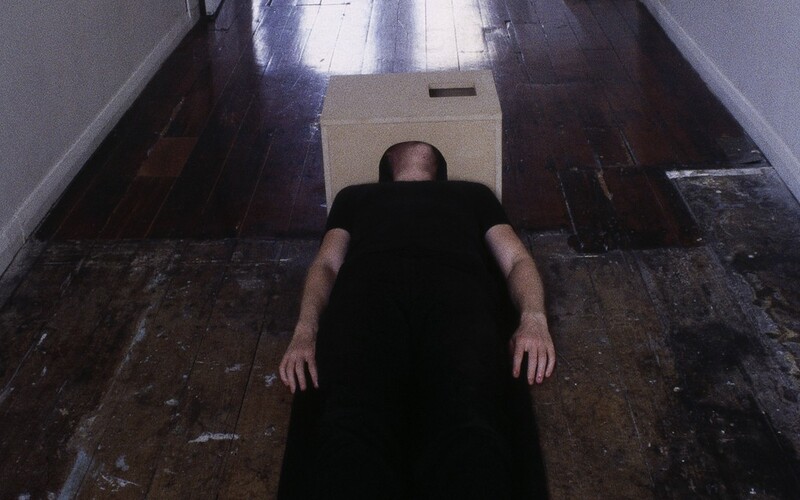 In this show, like many of his others, he married the formalist aesthetics of minimalist sculpture with carnivalesque abjection and spectacle. 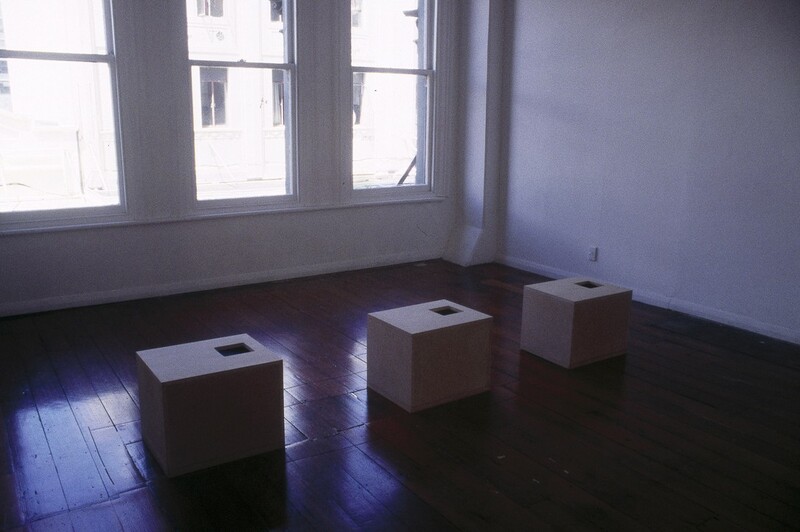 The Control series (September – December 2001) sought to re-introduce the notion of control to Enjoy after the damage demonstrations.